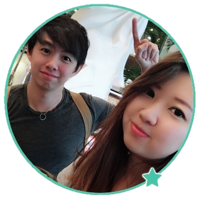 Operation 10k Review – There are a ton of get rich quick programs on the internet claiming to help you make money with minimal effort, and it appears that Operation 10k by Matthew Neer and Desmond Ong is new to the list. You are right to be skeptical about the claims made by the system, in fact you should be skeptical towards ANYONE or ANY program that claims to make you money with a click of a button or using some ‘secret method’. Even though Operation 10k generates a lot of hype (in a bad way), surprisingly I found the product actually delivers some value for beginners who are absolutely new to internet marketing. Be warned though, that making money online is not as simple as what you see in their flashy sales video. To help you make a purchasing decision, we will walk through the lessons and unveil the method taught by the program in our detailed Operation 10k review. It’s hard to trust the legitimacy of programs such as Operation 10k because they use overly hyped sales video and exaggerated promises to force buyers into making impulse purchases. When I saw Matthew flaunting his red Ferrari and making money by simply activating secret campaigns, the scam alert in my brain lights up and takes everything they say with a pinch of salt. I believe many of you feel the same, and in my opinion the sales video actually hurts them more than it does them good. The barrier to entry to their product isn’t super high at only $19, so it could’ve have been better received if they chose to market it as what it actually is instead of generating untrue hypes and expectations. To put it simply, Operation 10k is all about creating your own simple, digital product and have affiliates promote and sell it for you. The goal is not to make money with your simple product, but to build a list by collecting leads and email subscribers so you can market and sell things to them over and over again in the future. While there is some truth in the phrase “the money is in the list”, unfortunately Operation 10k doesn’t deliver on their promises of making simple money online. As with any businesses, you have to put in the hard work before you can see the sweet profits. It’s definitely not as easy as setting up a campaign, party hard and come back to a ton of commissions. It’s just a sales pitch. As I’ve mentioned earlier, Operation 10k does offer some value for beginners who are new to online marketing and affiliate marketing, despite their scammy sales page. These lessons come in the form of 10 video tutorials. While they don’t provide a lot of in-depth information that you can take concrete actions on, you can get a glimpse on how affiliate marketing works and understand how affiliates make money online. With that said, I’ll always recommend programs that are more truthful in their approach and provide free lessons that add value to the learner, such as Wealthy Affiliate, which teaches the subject of affiliate marketing in extensive details. I’ll talk about the modules included in Operation 10k and my thoughts about each lesson so you can expect what you’ll get if you buy it. This is a stark departure from their sales page, where Desmond Ong talks about getting into the right mindset before starting your online business. 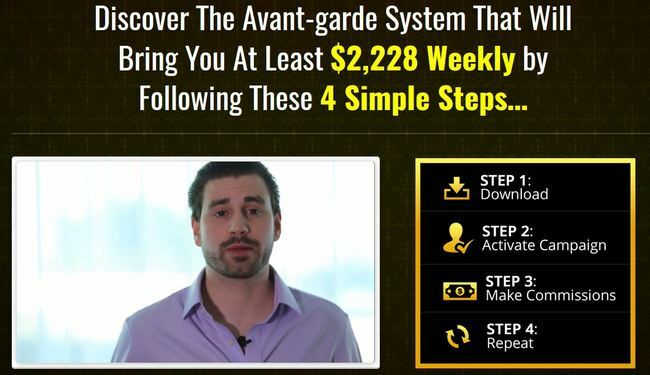 While their product page hard sells on a push-button program that makes you $10,000 in within 30 days, in this module Desmond tells you that no results can be obtained without massive actions and motivates you to take making money online a serious endeavor. I like the honesty and right mindset cultivated in this module, I just wish they have taken the same approach in their sales page. This is where to core idea of Operation 10k comes in. Pierre, the presenter of this module talks about the idea of creating a low price digital product ($5 to $10) in your chosen niche and get affiliates to promote it for you. The goal is not to make money on the sale of these products, but to collect email leads and build a buyer list for yourself. Armed with this list, you will eventually be able to promote other affiliate products and make money with your email list. While this is not a bad idea, it comes with its own challenges and shortcomings, which I’ll discuss in the sections below. In this video, you are shown some email templates that Matthew and Desmond use to interact with their subscribers and convert them into buyers. There are some useful information, such as promoting the right type of offers to your email list. It’s a no-brainer that every list responds to different kind of offers, for example you can’t promote baby products to a list of people interested in internet marketing and expect to cash in big. This module gives you information on how to select a niche (hint: follow your passion) and how to collect leads that are interested in your niche. Now that you have selected a niche, you need to find out how you can create a simple, low price digital product that your target audience is willing to buy. Operation 10k recommends that you find a product that is already selling well and copy what they are doing. While it makes sense to model after something that is already working, I’d like to give you a word of caution on copyright infringement. If you decide to follow the method of Operation 10k, find out how you can provide some unique value in your product, apart from copying popular products from your niche. This module actually consists of 2 videos, with the first explaining the basics of creating simple digital products such as ebook and video as a lead magnet, and the second providing more details on the actual product creation process. Again, even though you are just creating a simple ebook or video series to generate leads, avoid copying the works of others to prevent copyright infringement. Operation 10k emphasizes the importance of getting your products created quickly and for free, but this will be a challenge if you are absolutely new to this space. This is where you need to put up effort and do some work. The program suggests that you get ideas by interviewing authority figures in your niche (top blogs and popular YouTube channels in your niche are good places to start). It appears that they have realized it’s quite impossible for a newbie to create his/her first product for free, so they have included a short section on outsourcing the product creation process to freelancers. The idea behind a sales funnel is actually pretty simple. You set up a sales page for your $5 or $10 product, get potential buyers to sign up with an email address, and then send them to a member’s page where they can buy the product. It sounds simple, but writing a compelling sales page and get people to be interested enough to sign up and buy the product (albeit at a low price) is the difficult part. To make things easier, Operation 10k suggests that you use Click Funnel to set up quick and professional sales funnel, but the price is pretty steep at $99 per month. Not exactly the kind of money a newbie will spend before making the first profit online. Another option is to mimic what others are doing or simply outsource the entire sales funnel to someone else (which will cost quite a bit of money). Now that you have spent the time to choose a niche and putting together a low price product, you need to launch your product somewhere. The easiest way is to launch your product at affiliate marketplaces such as ClickBank or Warrior Plus, which is exactly what this module is all about – signing up for accounts and listing your product on these platforms. This is arguably the most crucial piece in the entire puzzle. You can’t get anywhere if there is no one to promote your product and get leads for you, even if you have a great low price product listed on affiliate marketplaces. Pierre suggests that you offer as high as 100% commissions for affiliates who help to sell your product, and it makes sense since your primary goal is to collect leads instead of making money (for now). One way to find top affiliates is to look for similar product reviews in your niche and find the top review sites. Pierre then suggests that you contact these affiliates and ask them to promote your product. While it sounds simple, it is unlikely that these top affiliates would want to write reviews and promote a new, low ticket item product. They write reviews for existing products that are already converting well, because that’s how they get traffic. More discussions below on why you will get stuck majorly at this stage. I’m usually quite optimistic when it comes to making money online, because the internet is full of possibilities. However, the method outlined by Operation 10k contains too many pitfalls that can undermine your effort. It’s simply not the best business model for affiliate marketing. Firstly, while it’s relatively simple to come up with a niche and put together a basic product, it is not without costs and trials. You will need to learn the intricacies of publishing an ebook, such as trying out a few freelance writers and selecting one for the job, designing a cover, as well as editing and formatting. Expect to spend at least $100 in this process, more if you hire freelancers to record video tutorials as your product. Secondly, setting up a sales funnel that convert is more difficult than it sounds. You can’t expect to put up a crappy sales page and wish it converts like a hotcake. Again, this comes with trials and errors, and at some point you may be inclined to buy professional sales funnel software such as Click Funnel which will set you back $99 a month. Thirdly, and most importantly, it is extremely hard to get affiliates to promote your product when all you can offer is a generic ebook or video series that generates $5 to $10 commission. Paid traffic: They pay advertising money to promote products that are proven to convert well and make money. In other words, they pay advertising fees in the hope of making more commissions in return. Free traffic: These affiliates leverage on their established websites or social media accounts to promote products. Naturally they want to promote the best products, or products that pay them the best. Unfortunately, the product created using the method outlined in Operation 10k won’t appeal to any of these affiliates. Without affiliates promoting your product and making sales, you won’t be able to collect any leads, which defeats the whole purpose of this idea. You are far more likely to succeed by just sticking to the proven way of making money online. Should You Buy Operation 10k? After all said and done, I DO NOT recommend Operation 10k. While Operation 10k is not a complete scam, the method outlined in this program is not practical enough to put into action. The sales pitch is definitely over-hyped and gives the wrong expectations to its buyers. This is not an easy 4 steps program, this is a multi-steps program that have a very slim chance of success. There is nothing more demotivating than getting something that doesn’t deliver what is promised. Most people buy sub-par products simply because they don’t know there are better alternatives out there. VO Genesis Review – Legitimate Program That Looks Like a Scam? Internet Funnel System Review – What’s the Real Costs? Thanks for detailing this. I looked at it and honestly was a little caught up in the hype. Especially since it talked about push button traffic and that sounded awesome. I looked for a review like yours because it did sound too good to be true and it sounds like it is. Hey Mike, glad you found value in this review. Most business opportunities on the internet over-hype themselves, so always take a grain of salt when it comes to purchasing one. The best way is to find one that gives you a free trial and provides real value in that trial. Hey Edward, thanks for the detailed review. Do you think it’ll be easier to get results if I buy the extra offers that come with it? I usually don’t buy the upsells unless I’m sure they provide extra value. I didn’t buy the upsells that come with Operation 10k so I can’t comment much, but I don’t think they’ll be a game changer for this product.